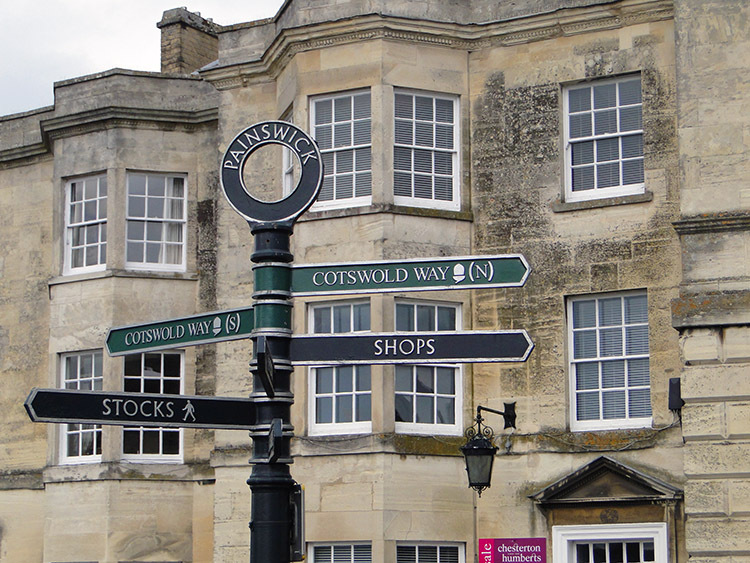 Summary: The village of Painswick is affectionately known as the Queen of the Cotswolds. The village originally grew as a result of the wool trade but it is now best known for its parish church's yew trees and the local Rococo Garden. 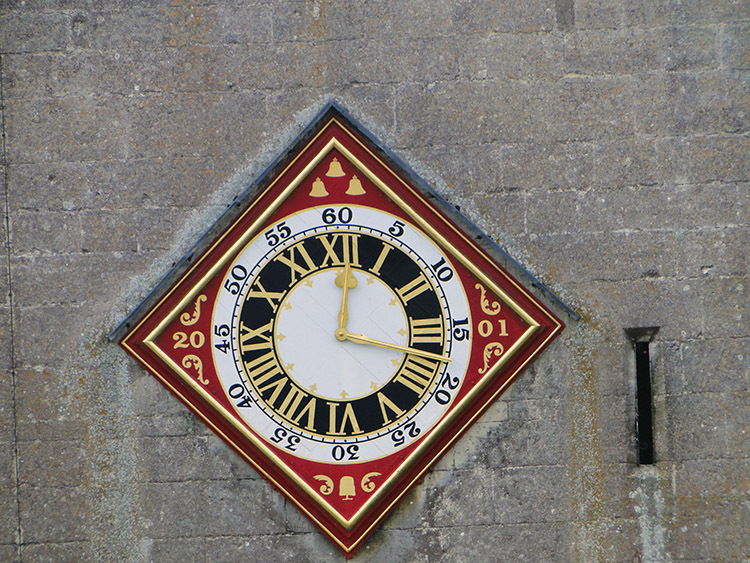 The village is mainly constructed of locally quarried Cotswold stone. Many of the buildings feature south-facing attic rooms once used as weavers' workshops. 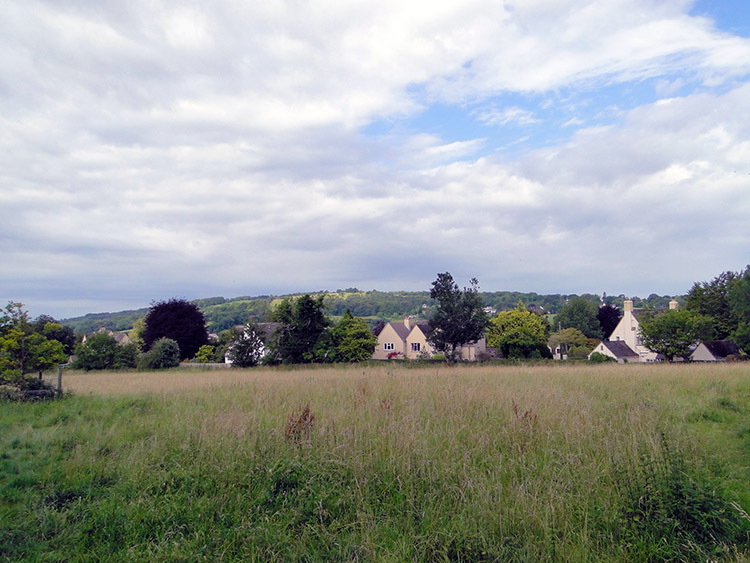 Geographically Painswick is situated on a hill in the Stroud district, overlooking the Stroud valleys. Its narrow streets and traditional architecture make it the epitome of the English village. 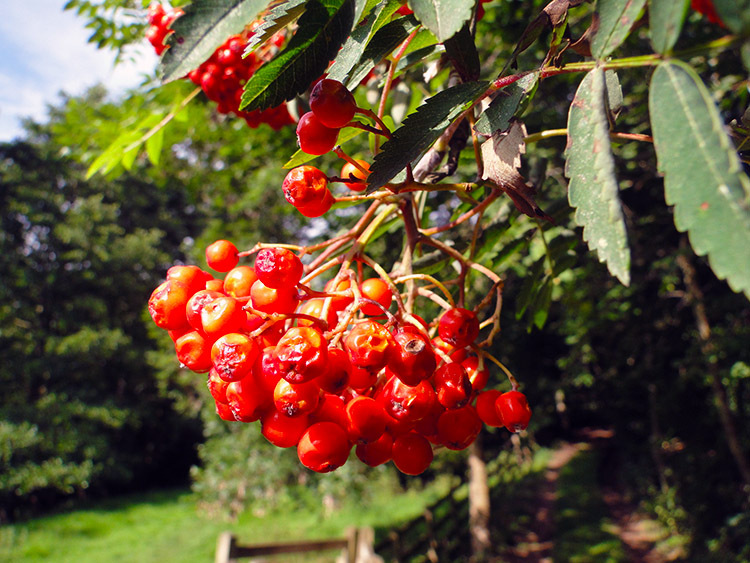 There is a golf course near the Painswick Beacon and that is where the walk takes us but only after a circular excursion of the wonderful surrounding countryside. The walk also goes through Paradise, so named by King Charles 1st who on seeing the beautiful valley to the east said "This must be Paradise". How can I argue, it is the most gorgeous countryside. 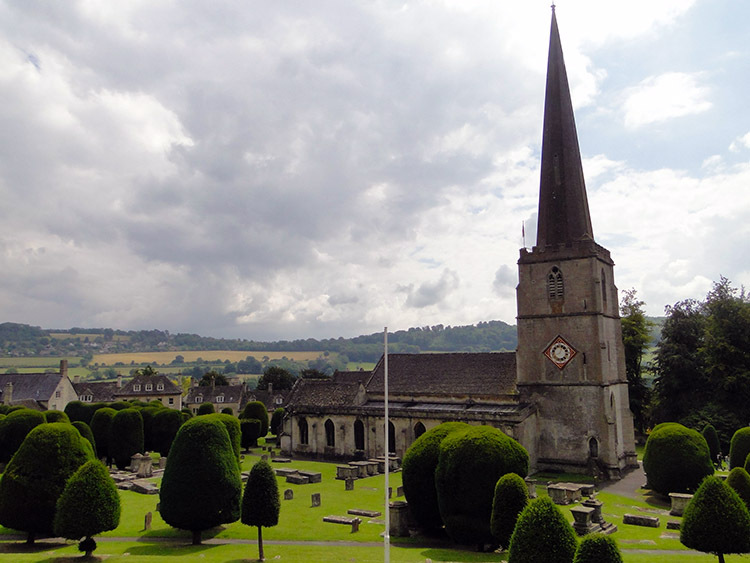 Before I set off on my walk I was tempted to count the extraordinary yew trees in the grounds of Painswick Church. 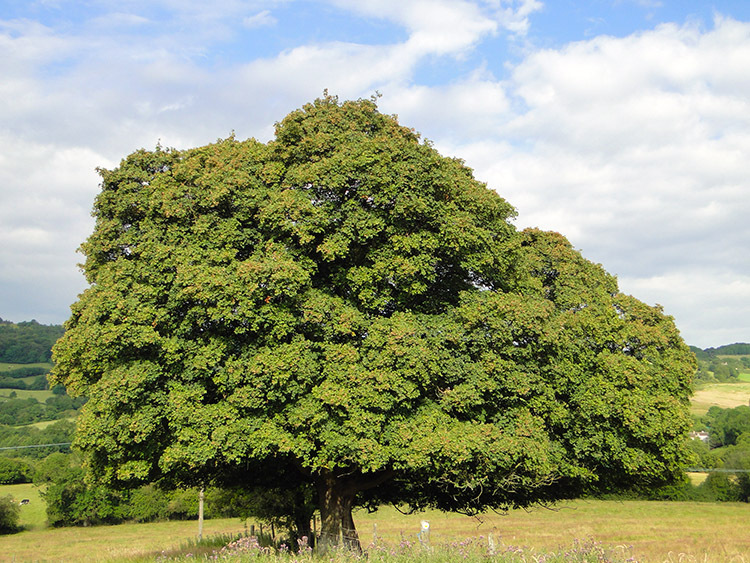 Apparently there are 99, all over 200 years old having been planted in 1792. Legend says 99 is the maximum as Old Nick will always see to the demise of the 100th. Visitors are challenged to count them but it is an impossible task as many have merged together in one entwined collective. Still I was happy just to observe them on a promising morning with early cloud dispersing to provide glimpses of blue sky and sunshine. Not taking time to explore Painswick as I would do that on my return I set off along the road to edge and past some mews houses before turning off the road and following a path between houses which took me into open countryside. Fields of high grass wisping in the gentle breeze stirred me on. Following good paths across and along the side of fields saw me pass to the north of Highfold Farm and east of Holcombe Farm. Just after the farm I emerged onto a very quiet country road which I followed past Holcombe House and Upper Holcombe Farm before I took leave of the tarmac and resumed field crossing to Spoonbed Farm and bisecting Cud Hill and Spoonbed Hill. The scenery so far had been delightfully pastoral, there was not a sound of traffic at all, sound was dominated by nature with birds tweeting and insects chirping. Some fields had cows in residence but they were idle, not making the effort to rise from rest on a lovely warm morning. After Spoonbed Farm I joined the Wysis Way. I never knew about the Wysis Way. Linking Offa's Dyke Path National Trail at Monmouth to the beginning of the Thames Path National Trail in Gloucestershire, the walk crosses the Forest of Dean, the Severn Vale and the Cotswolds. 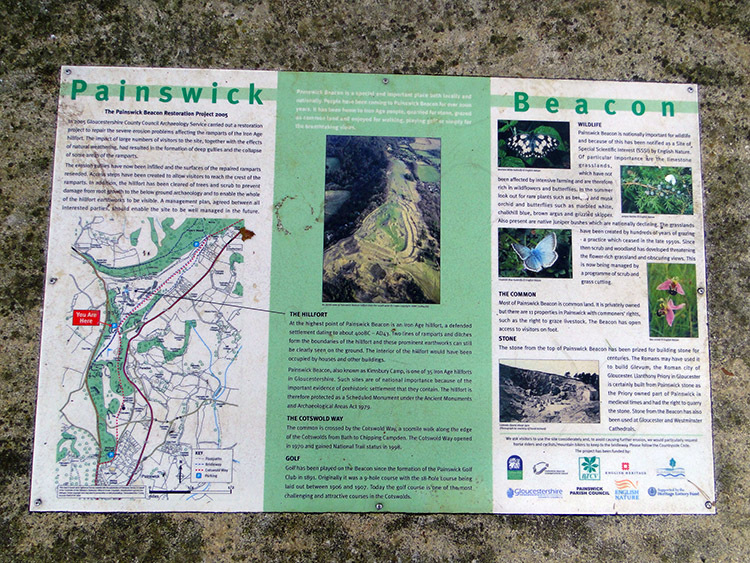 It meets the Cotswold Way at Painswick Beacon and that is where I was now heading. Painswick Beacon or Painswick Hill as it is also called also goes by the names of Castle Godwin and Kimsbury Hill Fort. 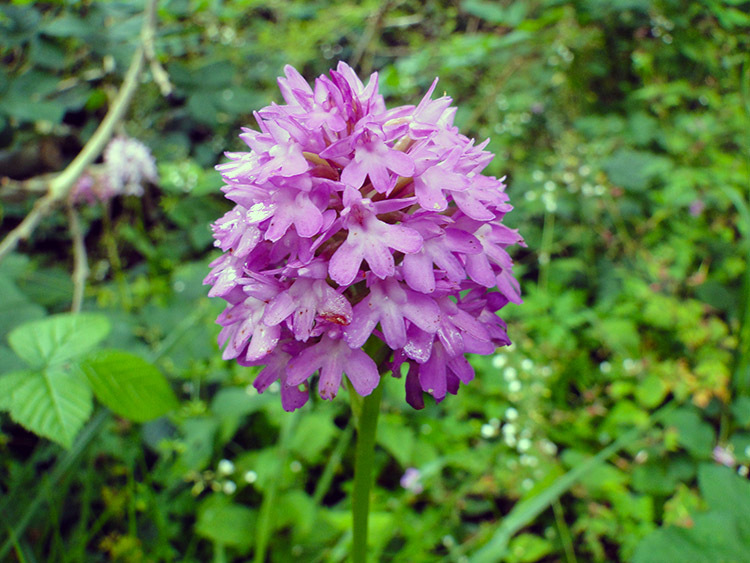 It has a long history, being first inhabited in the Iron Age as a hill fort between 500 and 100 BC. It is an impressive sight. 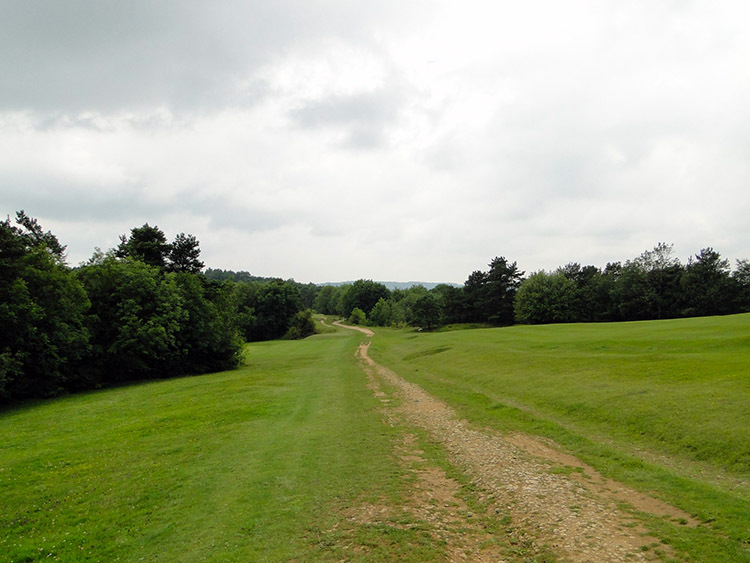 After looking over the ancient ground I headed down to the parkland of upper Painswick beside Painswick Golf Course. Soon after I came to Paradise, as mentioned in the walk summary, a place so named by King Charles the First. Obviously he had not lost his head at the time of his visit for he was spot on, the area is lovely with gentle rolling hills and a wide valley providing an example of perfect England. However not all was paradise for a short section of walking after the local parkland took me past an ugly stone quarry which was working and noisy. I made my way hastily past. Soon the clamour was gone, masked out by the thick foliaged trees and I came to a high wall protecting the grounds of Painswick House. 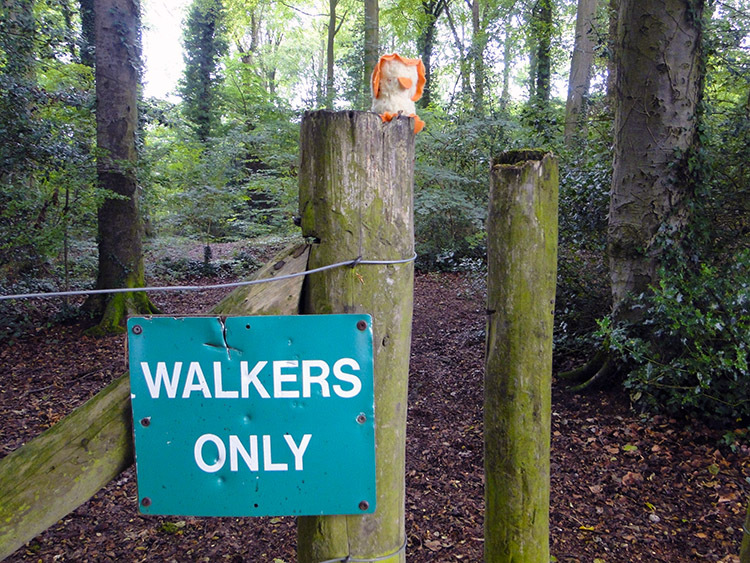 A sign saying 'walkers only' amused me, we're the ones in favour here. The sign was guarded by a not too frightening sentinel. After passing the edge of the grounds of Painswick House I passed a reservoir and then came to the road which led me back into Painswick. Rather than take a true course to my car I meandered the streets and came to understand why Painswick has the mantle of 'Queen of the Cotswolds'. It is a quirky old world place and took time to visit a cafe and hen the local museum where I was well advised by he curator. A proud village, proud people and the ones I met were most accommodating. It as a real pleasure to visit Painswick and take a lovely walk around the excellent and perfectly managed countryside.